The Central Povazie is another Slovak tourist region lying on the Vah River. It follows the Upper Povazie the northwest and is continued by Lower Povazie in the south. 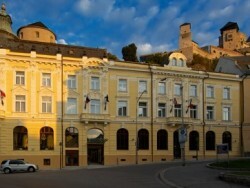 The region is situated in the western Slovakia, near the border with the Czech Republic. 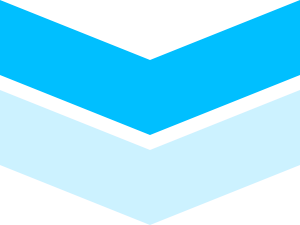 Most of the area is located in Trencin region, including the county town of Trencin, which is also the largest city in Central Povazie. 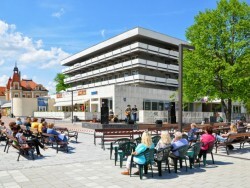 Historical city under castle is also known by Pohoda festival event held at the nearby airport. Very attractive location in the Middle Povazie, the spa town of Trencianske Teplice is located 15 km from Trencin, among the slopes of the Strazov Mountains, in their southwest part. 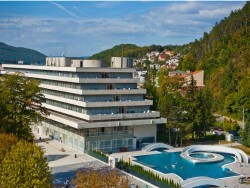 Spa Trencianske Teplice, offering therapy and wellness stays in spa hotels, due to sulphuric thermal water and beautiful surroundings belongs among the most visited resorts in Slovakia. The region also provides the possibility of mountain tourism. Extending on the right bank of the Vah, the White Carpathians pass southward to the mountains of the Little Carpathians which covers the Middle Povazie only partly. Nove Mesto nad Vahom and Stara Tura are good starting points for hiking in the Little Carpathians. Lying in the south-west of the region, the town of Myjava belongs to the area of Myjavska Upland. Mountain hiking trails can also be found in the Strazov Mountains that stretch from the left bank of the Vah eastward. On their edges on the river Vah, there are the cities Dubnica nad Vahom and Nova Dubnica. 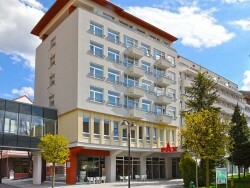 Central Povazie has also a place for summer holiday by the water. 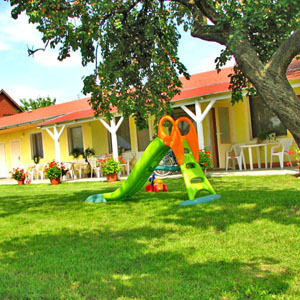 Close to Nove Mesto nad Vahom there can be found Green Water Resort (Zelená Voda), where you can book accommodation right on the bank of the lake. 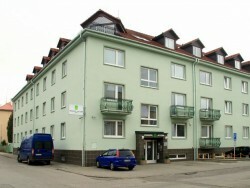 Hotel Slovakia ***is situated in the centre of Trenčianske Teplice, right on the pedestrian zone. 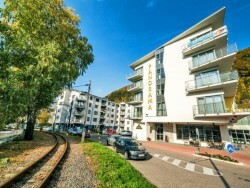 Nearby are numerous restaurants, cafés, shops and the spa park. Accommodation is provided in completely equipped rooms. 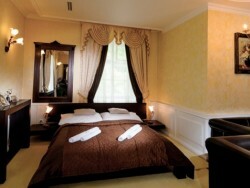 The guests can use the indoor hotel pool, in-house is a relax centre, thermal spa and other procedures are also nearby. A modern 4-star business hotel with luxury interior, the most modern technologies and quality services, but particularly with helpful professional personnel. 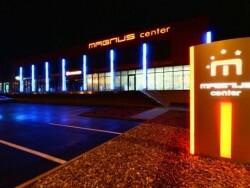 You will experience an unforgettable stay thanks to accommodation, catering, conference and relax services offered above standard at the hotel Magnus as well as thanks to business-fun services of the Magnus Centre complex.